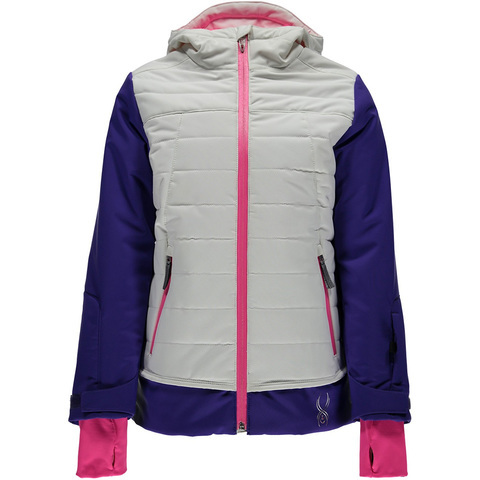 This super cute girl's jacket from Spyder has everything that you need to keep her warm and protected all winter long. 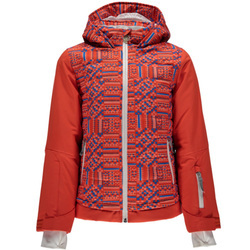 Cute enough to wear to school with all the performance that she needs up on the mountain, the Girl's Moxie Jacket is a coat that you both can love. The Girl's Moxie Jacket has a stretchy, baffled construction with a 10K waterproof rated Xt.L™ laminate, taped seams and a Spylon™ DWR finish to keep her dry and comfortable on those extra cold days. 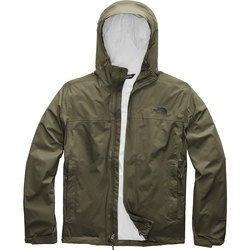 "The jacket arrived on time and love it."